MAT The Basics Small Box Area Rug - Multi - Swatches may be available. 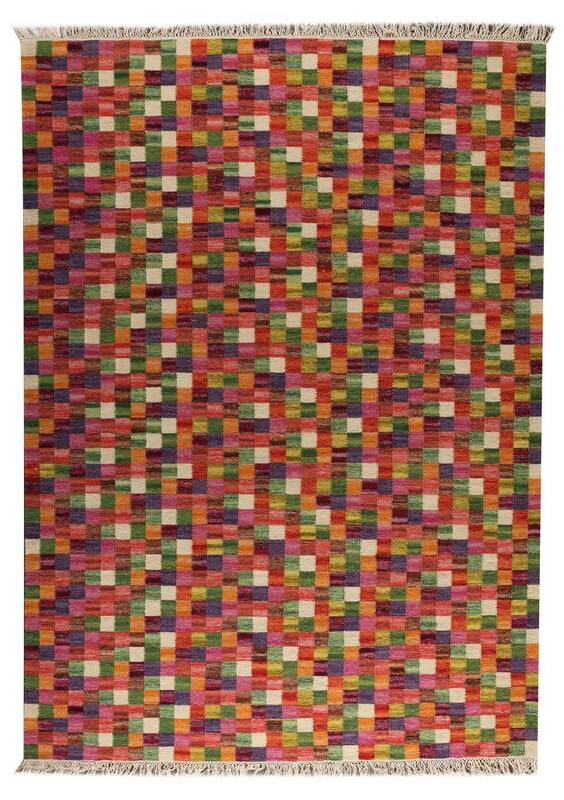 Hand Woven.Contemporary. An out of the ordinary carpeting for those with an unusual or creative approach to interior design. The Small Box design is hand-woven, featuring small geometric squares in alternating vibrancy that seem to dance upon the surface of this enchanting style. An ideal finishing touch to your design project, the right floor covering is easily able to tie a room look together and shows your attention to detail. 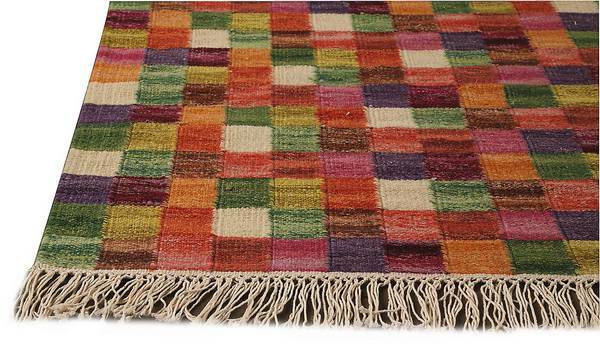 This pure wool rug will protect your floors and keep your feet from getting too cold in the winters. This collection also has matching decorative accent pillows and poufs. Hand Woven with 100% Wool. Check pattern. 100% Wool pure New Zealand wool. Kelim weave. Made in India. 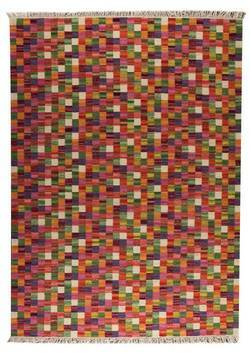 MAT The Basics Small Box Area Rug - Multi 5'6"x7'10"
MAT The Basics Small Box Area Rug - Multi 6'6"x9'9"
MAT The Basics Small Box Area Rug - Multi 8'3"x11'6"